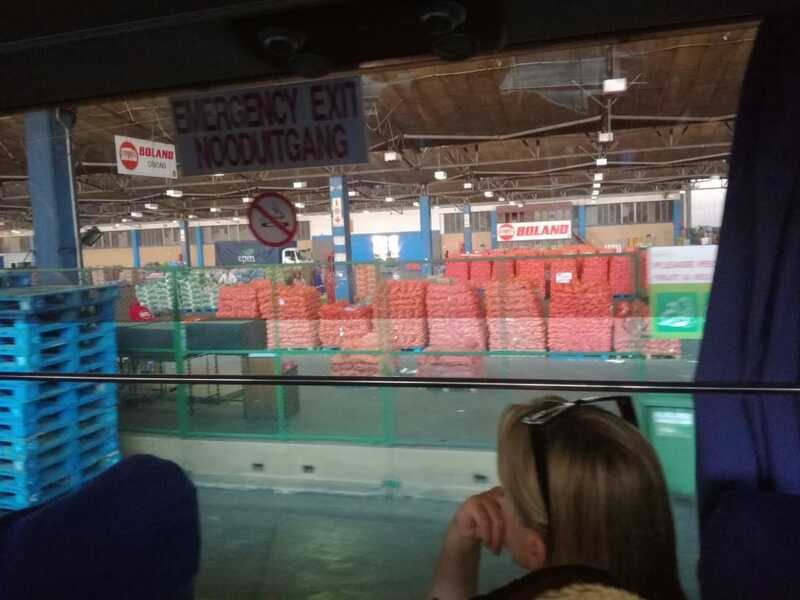 Report on the Cape Town Food Systems Field Trip lead by Gareth Haysom and Robyn Park-Ross from the African Centre for Cities (UCT) on 22 January 2018, in collaboration with The School of Government, University of the Western Cape, Centre for the Study of Governance Innovation, University of Pretoria, and Department of Science and Technology/National Research Foundation (DST-NRF) Centre of Excellence in Food Security. Intention is to share knowledge of broader Cape Town’s food system. The program has been going on for 2 years now in all provinces but more active in Cape Town. A gap exists in understanding food governance processes in growing South African cities, in particular how these processes intersect with a wider discourse on food system change. Food system- is the path that food travels from conception in the field all the way to digestion in the stomach. This includes the growing, harvesting, processing, packaging, transporting, marketing, consuming, and disposing of food. Also included is the inputs needed and outputs generated at each step of the process. Food systems directly relate to food sources. Value chain―the full range of activities are required to bring a product or service from conception, through the intermediary phases of production, delivery to final consumers, and final disposal after use. Food security- is defined as a situation where all people, at all times, have physical, social and economic access to sufficient, safe and nutritious food which meets their dietary needs and food preferences for an active and healthy life (MacRae and Donahue, 2013). Food insecurity is a critical yet poorly understood phenomenon, challenge for the health and development of Capetonians. Food insecurity is often imagined as hunger but actually broader than that. Associated with this food insecurity are chronic diseases, malnutrition and micronutrient deficiency, particularly among young children and an increase in obesity, diabetes and other diet related illnesses. The area is first and foremost a food production area, one with a long history of food production, a history dating back to the mid 1800’s, including constituting a vital aquifer recharge zone. The PHA has been a site of considerable contestation with different views of its importance being provided, as well as different views of its future. 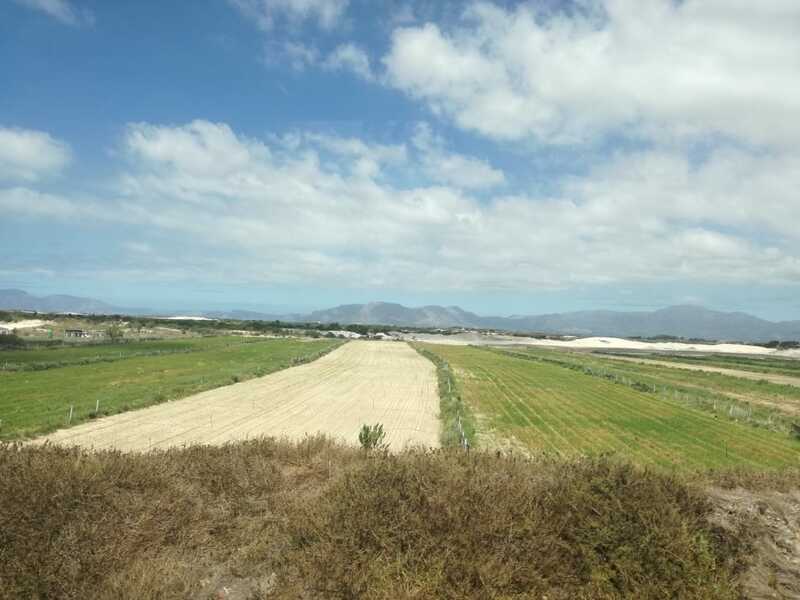 The PHA visit provided some history to the PHA, the wider PHA system, inputs into the social and ecological status as well as its role in the Cape Town food system. The key approach in the discussion was not to motivate for or against the area, not to argue that is it needed or should be jettisoned, but to detail how this area is part of the current food system and what this means for the idea of using food as a lens to understand how the city functions. It has multiple needs and perspective and faces many challenges and despite its significance, the area is threatened by ongoing development pressure and encroachment. Site of different resources that are being valued and hence politics and crisis in PHA. And as a result of that, there is a confusion on who takes decisions as there are different departments having a mandate respectively. It is also evident that PHA core has eroded over time due to sequence of planning decisions. The dynamic mix between what is argued to be a viable food production area, perceptions of an opportunity for potential housing developments for those living in informality and need, an opportunity for developers to capitalise on strategically located land, and conflicting perspectives of what is urban and non-urban and what is part of the city landscape and what is not, adds to the tensions and ongoing debates about the PHA, its value, viability and status in the longer term. The Cape Town Market is one of the oldest and largest fresh produce markets in South Africa. Our market is over 50 years old and services over 5500 producers delivering fresh produce to our market agents, who in turn sell the fresh produce to over 8000 registered buyers. Cape Town Market has many competitors, none of which are regulated. Key recommendations were made to help the city to build and maintain momentum in developing a food system and food security strategy. It is essential for the City to develop coherent, effective strategies to address food insecurity and to work towards a pro poor food system. It is also essential to build collaborative partnerships with civil society, the private sector, academia. 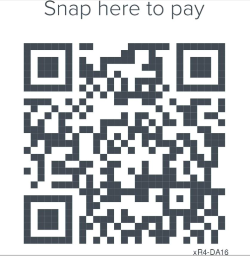 Advocate for more pro-poor food price monitoring.